You will now be redirected. If that does not happen, please click here to browse our new web address. Did you ever think of having a LIVE instructor without leaving your HOME? Ask about our LIVE ONLINE CLASS. You can be the next to pass the NCLEX RN/LPN exam. Inquire about our unlimited NCLEX-style practice questions, Free Assessment Test and our Test Taking Tips book. At FBS, we provide educational and training services to people like you. Regardless of your career aspirations, we partner with you to achieve your goals. We are committed to providing quality and affordable educational services to help you advance your career, change your status and enhance your resume with a certificate, degree or license. You can join hundreds of successful people who have chosen FBS to pursue their goal. Ms. Bola you are amazing. The way you explain things is easy to grasp. I learned from you in 10days more than what I learned in years in nursing. You are a star from God. May God continue to use you in helping others. Thanks to FBS. In less than 2 years after getting my LPN license I became a REGISTERED NURSE. I did all my pre-requisites and nursing courses through FBS, the school also prepared me for NCLEX-RN exam. Great and knowledgeable instructors. I will forever be greatfull to everyone of you. I was very impressed by the instructors teaching style of which I have greatly benefited from. I wish that I could have had professors who had similar teaching style through the course of my study. Thank you. If you’re interested in joining the healthcare profession, becoming a nursing assistant or geriatric aide is an excellent first step. 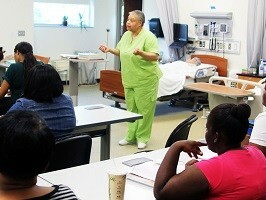 FBS Education Center’s Nursing Assistant/Geriatric Aide program prepares you in just 4 weeks. 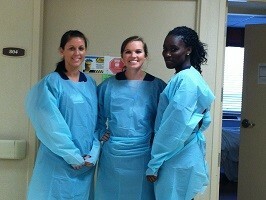 You’ll gain basic healthcare training and the opportunity to jump start your healthcare career. 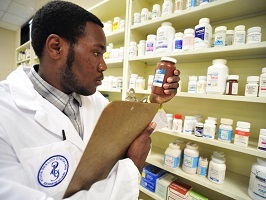 FBS’s Pharmacy Technician Program is designed to prepare you to land a job in a growing healthcare field. You’ll graduate in just a few months of study, ready to increase your income. You’ll learn professional skills, receive certification-prep materials, interact with a personal mentor, and gain real-world experience during a pharmacy externship. If you are ready to expand your role within the profession of nursing by becoming an RN, you will find that FBS is one of the best choices out there for you. Making the transition from LPN to RN can seem a bit intimidating at first, especially if you have been out of LPN school for awhile. 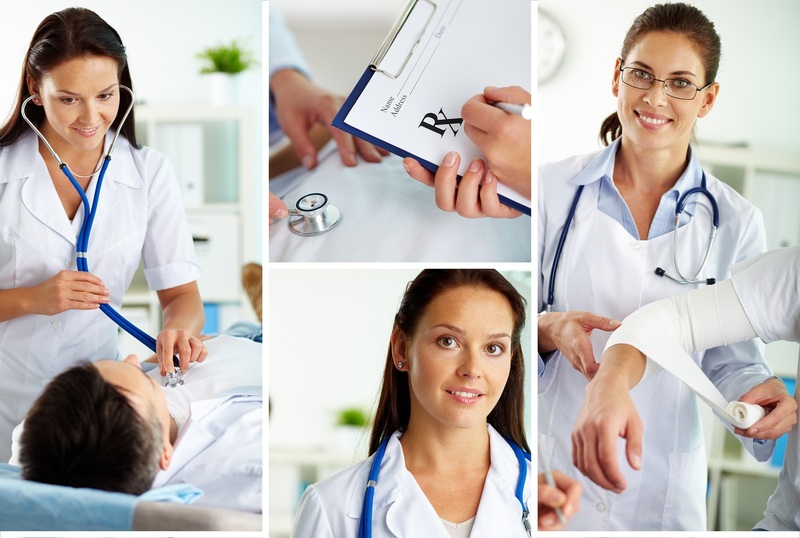 We can help you with your prerequisites and assist you through the nursing program. For just $9.99 a month, you will have unlimited access to our NCLEX-style questions bank. Practice NCLEX-style questions and increase your chances of passing NCLEX the first time. With this online question bank of more than 5000 NCLEX-style questions, you’ll also get comprehensive explanations for every answer. Remember: we have a 98% passing rate in NCLEX. Pass your NCLEX LPN/RN at 1 sitting. Our NCLEX Review program has a very high success rate (98 percentile) with over 10,000 success stories in NCLEX. Our expert nurse educators have years of teaching and clinical experience. Please inquire about our Free Assessment Test to determine your NCLEX readiness. For over 12 years FBS has helped thousands of students achieve their career and educational goal. We have helped hundreds of students transitioning from LPN to RN. Our NCLEX review program is one of the most successful in the nation. Not surprising why students make our NCLEX review their first choice. The huge success we achieved is due to our diligence and our faith in God that guides us. We always place the needs of our students first. FBS offers various opportunities to come to our campuses. One such opportunity is our Open House where future students can learn more about our various programs by touring the facilities and speaking with our associates about the desired program. The Greenbelt Campus is open Monday to Friday from 8 am to 10 pm and is located just a few minutes away from the Greenbelt Metro Station. Please note that in the case of inclement weather conditions, the campus will close (we will post a notification on the school’s website and send a reminder email). We understand that taking the time to pursue higher education can be stressful. With that in mind, we gracefully offer free parking to our students so they don’t have to worry about parking-meters or towing charges. We have off-street parking available for every student right by our building. 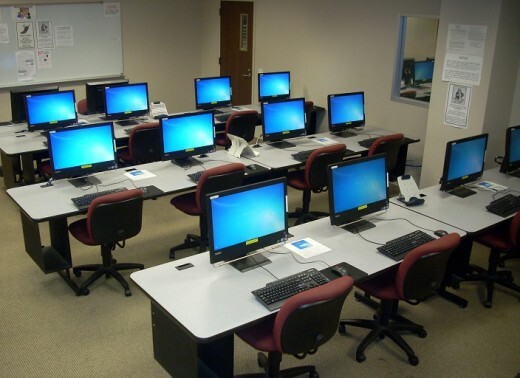 FBS Education Center also offers classes on campus in Wilmington, DE. Please contact us for more info. Students can use the internet research center for their homework, assignments and research free of charge. We also provide students with unlimited digital training material for a small fee. Students who sign up for this package will have unlimited access to our resources in order to master the material. Please inquire with our admission department. The FBS Greenbelt campus hosts a CPNE simulation lab complete with materials necessary to create a realistic hospital environment.